Photography is only the beginning and a camera is only a tool. Portraiture with personality is created, not simply taken. Jeff is a visual artist specializing in commissioned portraiture of family and the life events we share. From newborn babies, Bat/Bar Mitzvah's, high school seniors, and weddings, Jeff creates images for your family that become first class, works of art for you to treasure. Your personal story will be told in a way that is customized to your needs and desires, not a one size fits all package. Your image may be captured with a camera, but your personality will be painted with a brush. My job is to create images that represent your memories; soon to become first class, commissioned works of art for you to treasure for a lifetime. Your personal story will be told in a way that is customized to your needs and desires, not a one size fits all package. I provide everything you desire with none of what you don't. Portrait art for your home is a lifetime investment that never loses value. Only the highest quality materials and craftsmanship are used. * LOVE your experience and the images I create for you, or it's free ... Guaranteed ... Period. * No charge, No obligation consultations. I do not sell. I help people to obtain what they desire! * I tell your story with passion and personality, not just a few pretty pictures. Anyone can take a picture, but portraits tell more about who you are. * Internationally certified by the Professional Photographers of America. Ask the other portrait artists you might be talking to if they are certified. If they're not, ask why? Visions by Baker provides complete and easy commissioned portraiture for busy individuals and families you simply will not get anywhere else. I am your nationally certified artist creating portraits from all the life events we share. Every need is fulfilled from the beginning with in home design consultations to custom installations of the final artwork. Portrait art is a heirloom treasure as unique and priceless as your own family. Every image we create has a zero risk warranty. When Excellence Matters, and Good Enough... Isn't. You will have the opportunity for a personal consultation to design your artwork. This can be in your own home or at our studio gallery. We'll discuss who you are as a family, likes, dislikes, and how the children relate to each other. We'll talk about where and how to display your artwork. The investment of your time is of utmost importance to us. We're here to collaborate and help you refine the message you're looking to convey within your portraits. Most of all, our goal is to get to know each other so your portraiture will be the best it can be. The day is finally here! Relax and have fun! Visions by Baker is one of the only fully equipped portrait studios in Central Massachusetts with both indoor and outdoor sets. 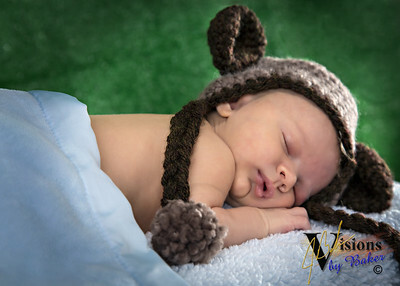 Choose a traditional studio look and feel or we can create a custom set to fit you and your family. 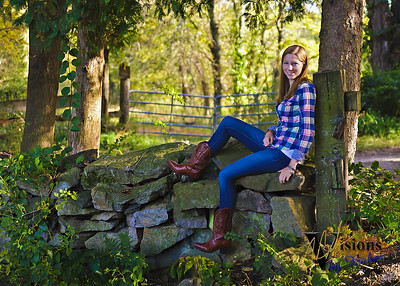 If you prefer, we're happy to create your session on location, in a special spot where your family feels more at home. Think of a favorite park, your backyard, or anywhere you just love. Add in something special to make it you, and maybe even the family pet, then you've got a great session and amazing portraits you'll love forever. Let us take care of all the technical, the logistics, and let the art of your own personalities blend into the portrait of your dreams. Our Signature Series portrait session includes up to 2 hours at any location you choose. The session could be at the studio, the beach, or even your own backyard. Whatever location has the most meaning to you. The Masterpiece studio session of one hour is perfect for Children, H.S. Seniors, and Families. We do not charge per person, so bring the whole crew! An Essential studio session of about 30 minutes is great for business and other professional portrait needs. After your session, Visions by Baker uses the latest technology to present your images for you, in person, to review and make your final selections. At this ordering session, you'll be able to critically evaluate each pose, compare images and most importantly, view how images will look displayed on the walls of your home. The first thing you'll see is a multi-media slideshow. After you personally review your images, that show can be shared to social media for you with a link to your included, lifetime on line gallery. All final portraits are critically checked and enhanced for color, depth, and detail. Multi-Media Paintings typically take longer than traditional printed portraits; however, you are always kept informed of the process at every point. Your portrait art is not "farmed-out" of the Country ... Yes, your artwork is created, mastered, and produced by the original artist. Turnaround time is based on the specific detail of your original art. Once your final artwork is ready, Visions by Baker will professionally install your wall art in your home. We can even contract the proper lighting if you wish. You're busy! Let us do what we do best, so you don't have to. If you prefer, you may always opt to have us deliver them to your doorstep or have them available for pick up in our studio. Whatever is most convenient for you.